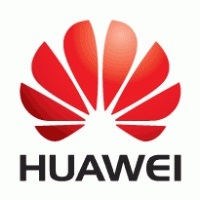 Huawei, the worlds’ second largest smartphone manufacturer, is launching a bursary to help Brits follow their dreams. Created to mark the recent launch of the AI powered Mate 10 Pro, the Make It Possible Bursary aims to celebrate and inspire creative and entrepreneurial spirit in the UK and will see £30,000 made available for individuals to make their ambition possible this year. The bursary was created following research commissioned by Huawei looking at the UK’s goals and dreams which identified that only 15% of the country believes its living up to its full potential. Whilst 69% of people have already given up on their New Year’s resolutions, 77% have started the year preparing to make their ambitions a reality in 2018. However, money is a concern for over half of people (57%) who think their finances may be a barrier to them achieving their dreams. Huawei wants to remove financial barriers for the UK’s most ambitious and creative individuals, with the Make It Possible Bursary offering a £20,000 bursary to one successful applicant, with a further £5,000 awarded to two individuals respectively. With Huawei’s research showing Brits spend an average of £7,063 to bring their plans to life, the bursary will help successful applicants achieve their goals. The study highlighted that as a nation we are embracing more entrepreneurial, altruistic and creative ambitions; 21 million Brits want to start their own business, 35% want to invest in photography and film and 26% are planning to start a blog, Instagram or YouTube channel. One in three (33%) want to get involved with a cause or charity, or make a difference in their community (36%). Whilst 41% are looking to further their education, such as doing a bachelor’s degree, masters or PHD, and 31% are looking to change their career. The Make It Possible Bursary is designed to encourage entries across a range of categories so whether people want to be social media stars, photographers, baking bloggers or have a great idea to start a business, this bursary could be just what they need to achieve their goals. The bursary forms part of Huawei’s ‘I Am What I Do’ campaign which aims to inspire creativity and encourage people to use technology to unlock their potential with entrepreneurs including Steven Bartlett and Samantha Payne showcasing how technology can enrich people’s lives. The Make It Possible Bursary will also award successful applicants with a Huawei Mate 10 Pro device to help them connect with people who share their passions and give them the technology they need to embrace their goals. For more information on the bursary and how to apply visit: Huaweibursary.com/UK.